Thomas is still one of our favourite characters and you may have seen our trip to the Watercress Line to see him recently. So when we were invited to join #TeamThomas and review the new Trackmaster set a test drive we couldn't refuse. 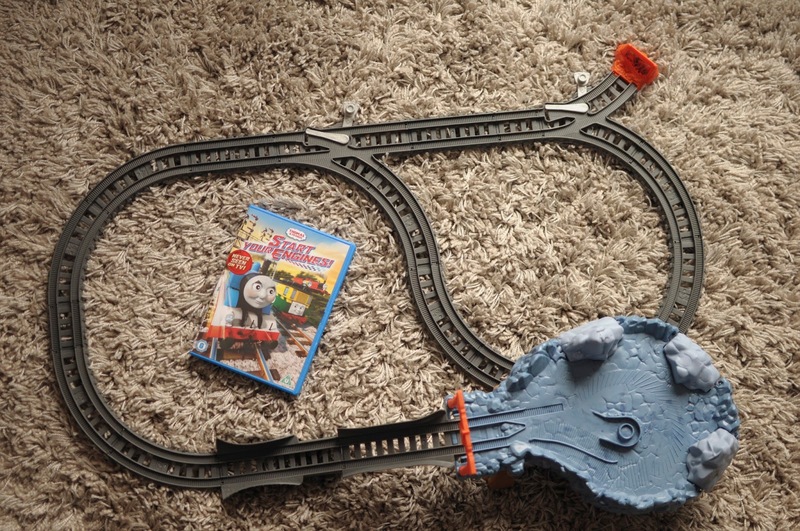 We were also sent the new Thomas & Friends DVD to review which can be found over here. We were sent a Thomas & Friends playset. This Trackmaster set is called the Close Call Cliff set and works on a loop track. 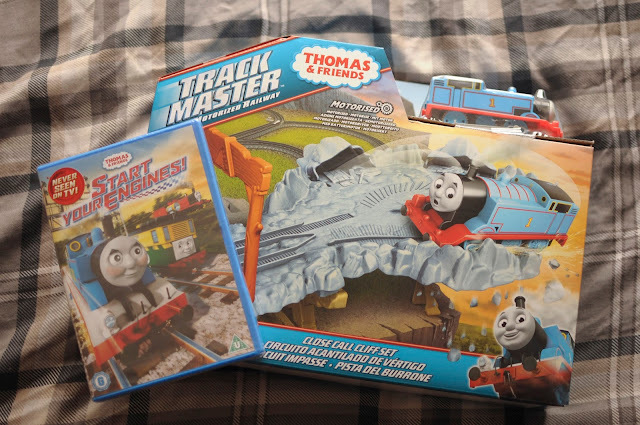 This is smaller than the other Trackmasters sets we have which is great as we can set it up in the lounge so Max can play whilst watching the DVD. As with all Trackmaster sets, the instructions are really easy to follow and all the pieces are lettered and numbered so you don't feel like you need a degree to put it together. Within less than 5 minutes it was set up and ready to go. It's perfect as there's no fiddly ties and bits of plastic that leave parent's tearing their hair out. 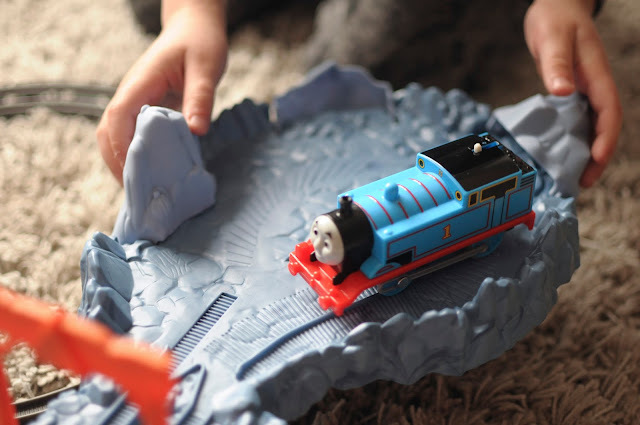 As Thomas loops around this track he climbs up the steep cliff. As he reaches the top he has to do some tight turns to avoid falling off the cliff, which in the process knocks off some of the rocks. It's such a great little playset that keeps Max occupied for ages. I love that fact that all the Trackmaster sets are interchangeable so we can create our own amazing track for the trains to run on. Over on the Thomas & Friends Facebook page, they are celebrating #TeamThomas with loads of weekly activities so hop on over and don't miss out the fun. Thank you Thomas & Friends for the wonderful products, we absolutely love them! *Note, these items were gifted. All opinions are my own.